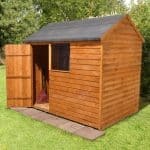 4' X 3' Sheds - Who Has The Best 4' X 3' Sheds In The UK? If you have a compact garden, then 4′ X 3′ sheds could be the perfect solution to your storage problems. Many people have gardens that they’d like to be a little bigger, or where space is at a premium, but that doesn’t mean that they can’t have a garden that’s enjoyable to work and relax in and great to look at. 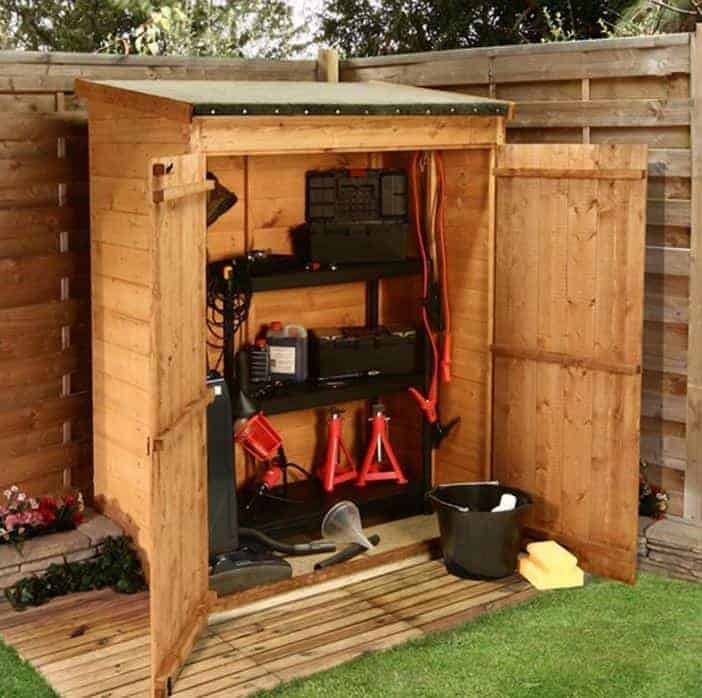 Even in small gardens, a garden shed is essential as a place to store the tools and other essentials, such as top soil, that you’ll need, and so finding the right compact shed at the right price can make your garden an even more pleasant environment to spend time in. 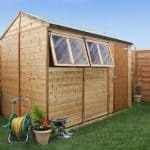 If you need help finding the perfect model for you and your garden, then take a look at our WhatShed guide to the 10 best 4′ X 3′ sheds available to purchase online in the UK today. The small shed market is a vibrant one, so there are lots to choose from in timber, plastic, and metal varieties. Selecting which ones are the very best available today, therefore, was not easy. We have based our results upon a number of factors, including the price and value for money, but also encompassing durability and warranty periods, design and aesthetic appeal. 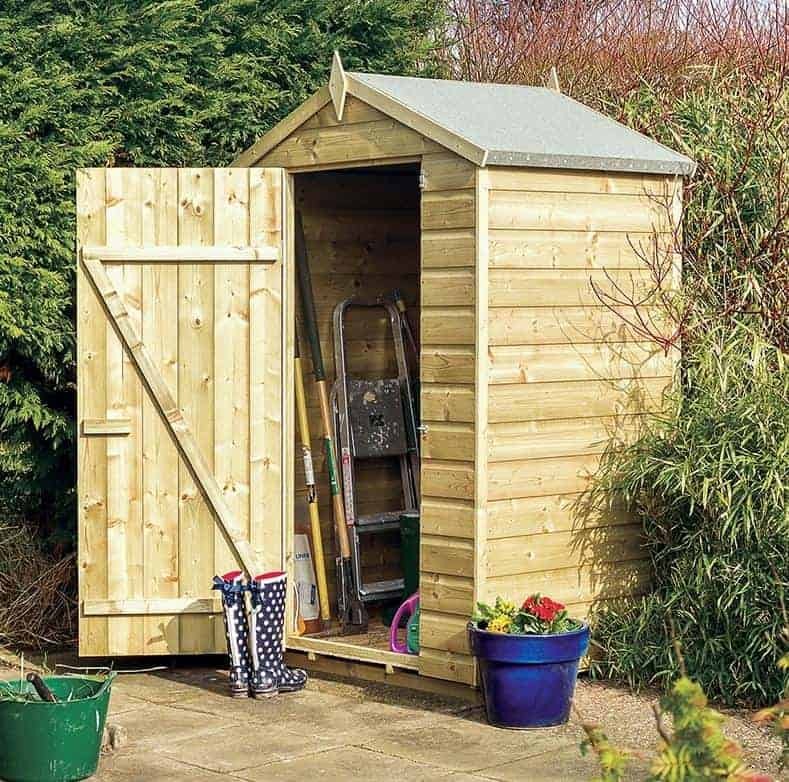 By taking account of all of these factors, we’re confident that we’ve come up with a definitive league table of the 10 best 4′ X 3′ sheds currently available to buy online in the UK. This has been a very competitive category, so it’s well done to the Ultimate Shiplap Shed which lives up to its name by taking top spot in our league table of the top 10 4′ X 3′ sheds available to buy online in the UK today. It gained its win through providing very high quality and very good value for money at the same time, which is always a welcome combination. 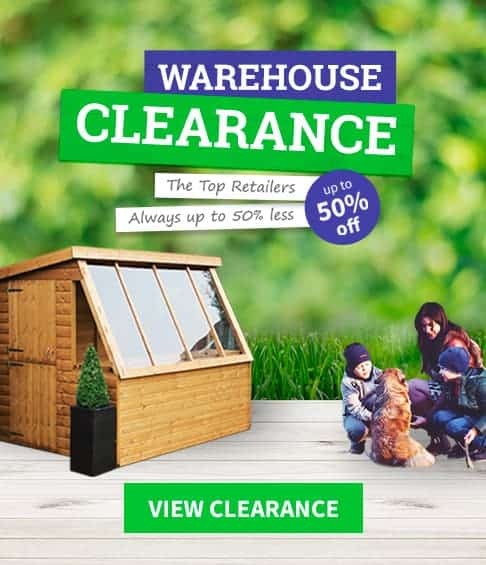 Whether it’s a compact security shed that you’re looking for, a PVC greenhouse, or even a playhouse for your children or grandchildren, WhatShed bring you the in depth and independent reviews that will help you find the right garden building at the right price. When the average person thinks of 4′ X 3′ sheds, they’ll probably think of a model that looks just like this one that climbs to the very top of our top 10 list. It boasts classic styling, and a traditional appeal that only wood can bring, and we found it very attractive at first sight. 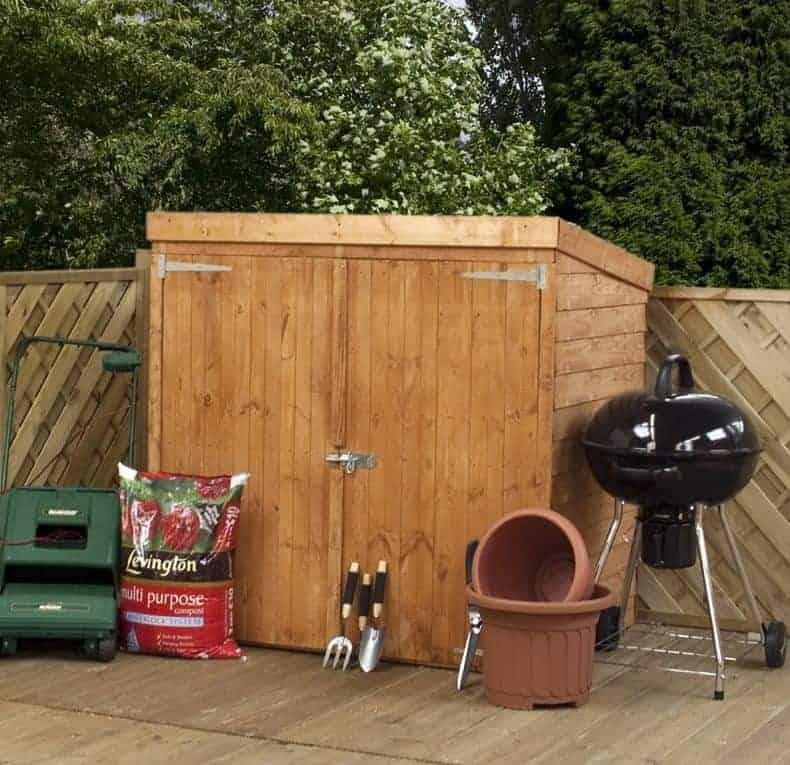 This is a 4′ X 3′ shed that you’ll be proud to have in your garden, especially if it’s stained or painted in your favourite colours to keep the threat of fading caused by the suns UV rays away. 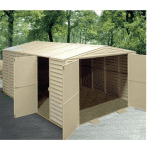 This is something that we recommend for all unpainted wooden sheds, whatever their size. What most impressed us about this compact storage shed, which rises to a height of 1.78m at the peak of its felt covered apex roof, is that it’s made to an exceptionally high quality. Firstly, it looks stylishly smooth as shiplap cladding has been used for the walls. At 12mm thick, the shed feels reassuringly stable once assembled. Even more impressive is that all the timber has been pressure treated, which isn’t something that we usually see on the wooden 4′ X 3′ sheds that we review. 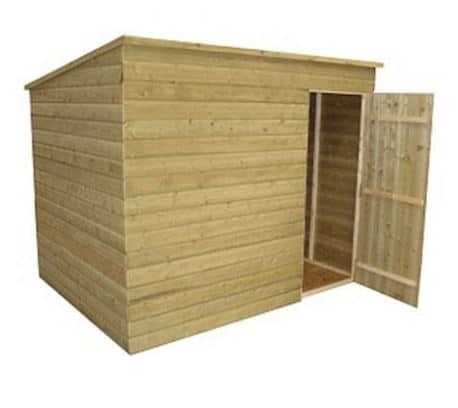 This means that it comes with a 15 year guarantee that isn’t dependent upon the customer applying annual treatments themselves, and its this combination of quality and added value that makes this our choice as the best 4′ X 3′ shed that can be bought online today. The compact shed which takes second place in our list of the very best 4′ X 3′ sheds could hardly be much more different than the number one shed, but that just shows the welcome diversity available in this category. 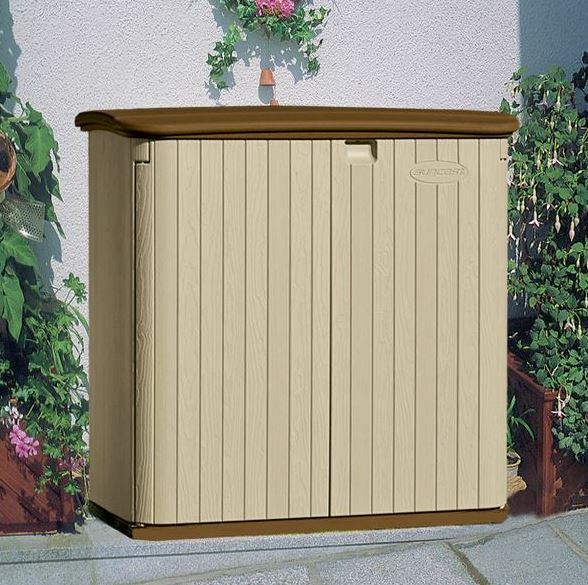 This allows people to choose the shed which is ideally suited for them, and this Kensington 4 model by Suncast, for example, is ideal for those who prize durability above all else. It’s made of plastic resin, which not only means that it’s very quick and easy to assemble, it’s also free from worries about rot, rust, or infect attack. For that reason we feel the manufacturer’s warranty, which is 5 years long, could have been even longer. Appearance wise, this looks very different to all the other sheds in the top ten list, but in fact we found the contemporary look quite attractive. If you have PVC products around your property then you’ll know how good it can look, and the ivory and brown colour scheme provides a nice contrast. The front, which has a width of 1.42m, is dominated by a set of double doors which makes it very easy to move objects in and out, and the lid can also be lifted up and propped into place. The resin cladding of both the doors and the walls feels strong and robust. For its unrivalled toughness, this deserves to achieve an elevated position in our list of the very best 4′ X 3′ sheds. We’ve reviewed lots of Rowlinson sheds in many sizes, and we’re always impressed by both their build quality and their traditional good looks. This particular model, the smallest in the Rowlinson range, lived up to all our expectations and was only kept out of the top two because it’s slightly smaller than some of the sheds here. Even the 4′ X 3′ sheds category involves some dimensional differences, as the widths for example vary from a couple of inches below four feet to approaching five feet. This Oxford shed has a width of 1.17m and a depth of 0.89m, making it one of the smallest bases we’ve reviewed, but it also has an above average height created by its apex roof of 1.95m. When dealing with compact sheds every inch counts, but this still has a lot to recommend it. Once again this looks very stylish as smooth tongue and groove cladding has been used for the walls. Once more, we found that a pressure treatment had been applied by the manufacturer and this gives it the 15 year warranty period which is as long as that on any of the 4′ X 3′ sheds that we’ve reviewed. We were also pleased to see integrated floor joists, as these give added protection to the OSB floor against the very real threat of ground moisture. Despite its size, then, this is a timber garden shed that deserves to be in our top three. This is the highest placed of the timber pent roofed 4′ X 3′ sheds to make it onto our list, which we know for many will be an important consideration in itself. 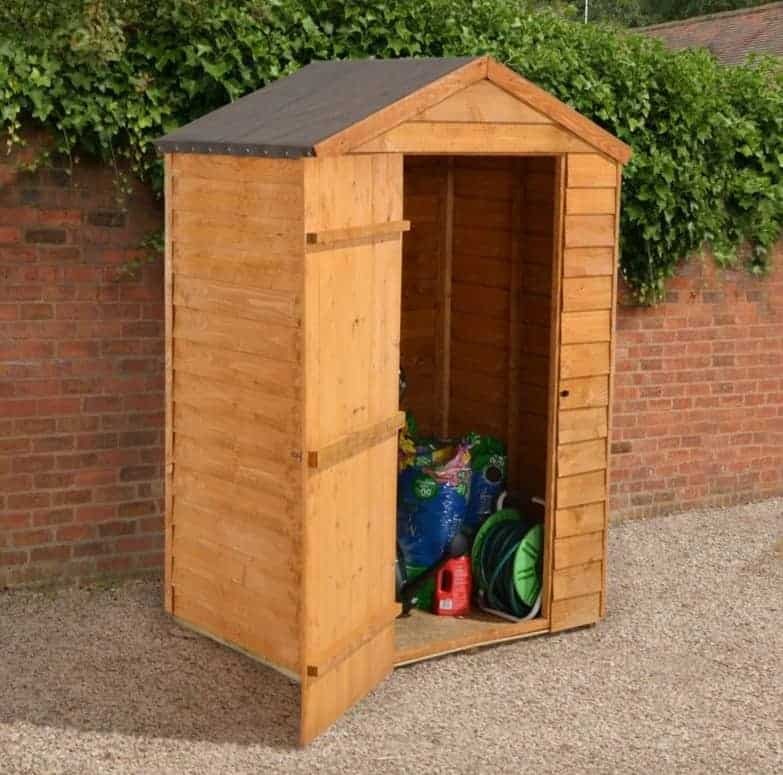 People typically buy sheds with such a compact footprint to save space in their garden while still gaining the advantages of a good looking storage space, and a pent shed such as this also avoids the unnecessary use of vertical space. Because it has an unobtrusive pitched pent roof, it can even be hidden away behind a tall fence if required. 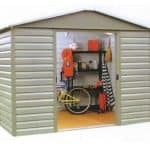 Security is important for sheds small and large, and one security feature that all the sheds represented in our list of the top 10 4′ X 3′ sheds have is that they are window free. This makes it impossible for opportune thieves to see if anything of value is kept inside, which in turn makes it much more likely that they’ll pass by in search of more revealing targets. We liked the fact that this shed has very tough and rugged looks, and with a 10 year warranty accompanying its pressure treated timbers it should be durable as well. If security is your major consideration, then this could be the perfect 4′ X 3′ shed for you. Whilst we always welcome the use of tongue and groove cladding on the sheds that we review, it has special relevance on larger sheds where it brings much needed added strength and stability. On smaller garden buildings such as 4′ X 3′ sheds, overlap cladding can also form a reliable substrate and it can lead to even greater value for the customer. That’s certainly the case with this traditionally styled small apex shed, and the fact that it’s the most affordable of all the sheds we’ve reviewed in this size range helps it take a deserved place in the top half of the table. The overlap cladding has a thickness of 8mm, but both the walls and apex roof are still very effective at channelling rainwater away and keeping the contents dry. We would have liked to see an extended warranty provided, however, and annual preservative treatments will need to be added to ensure that it has a long lasting protection against wet rot. 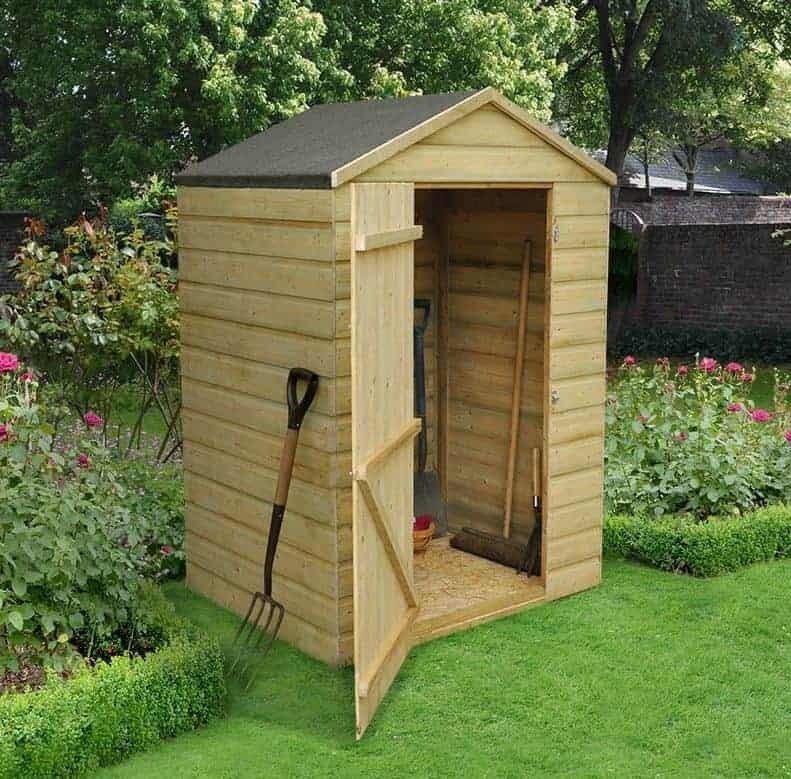 Nevertheless, this is one of the best value 4′ X 3′ sheds that we’ve seen, and so it will make a perfect choice for people who are looking for an attractive garden shed but want to keep a close eye on both the space used and the price paid. BillyOh sheds come in all shapes and sizes, so we were pleased to see that even though this is the smallest timber shed that they make they haven’t cut any corners in an effort to keep costs down. A welcome sign that they had kept up the high quality we’ve come to expect is that they have used tongue and groove cladding for the walls, even though they have used thinner solid sheet material for both the roof and floor as we often see with 4′ X 3′ sheds. One thing that stood out about this shed when we compare it to many other compact timber sheds we’ve reviewed, is that it features wide opening double hinged doors that have been braced to give them extra strength. They open to a width of 1.17m, with a height of 1.35m, which makes it very easy to store wide or large objects such as lawn mowers inside. With the addition of a shelving unit, you can store a lot more inside than you might imagine, and it is only the 5 year warranty period. rather than the 10 years that we would usually expect on dip treated pent sheds, that prevents this shed being placed even higher up our list of the 10 best 4′ X 3′ sheds that are available online today. This is the second larchlap timber building to make it into our league table of the UK’s best 4′ X 3′ sheds, and it achieves a slightly lower position by being just a little more expensive while at the same time offering a slightly more restricted interior space. Even so, this is a very good looking shed with a lot to offer to people who purchase it. We found the overlap cladding, which again is 8mm thick, very pleasing on the eye as it creates a rustic appearance that has a timeless appeal. If you have a traditionally styled garden, then this should blend in nicely to the surroundings. We were pleased to see that a dip treatment had been applied to the timbers, and that this meant that it came with the reassurance of a 10 year warranty period. This is dependent upon the customer applying a high quality preservative every year, but one of the advantages of 4′ X 3’sheds is that they can be retreated very quickly, and that of course saves expense as well as time. 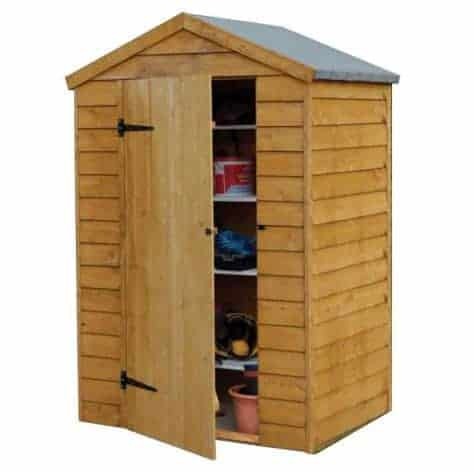 This may not offer some of the high quality components of some of the other sheds in our list, but it does offer good value for such a practical garden building, and it looks like it costs much more than it actually does. 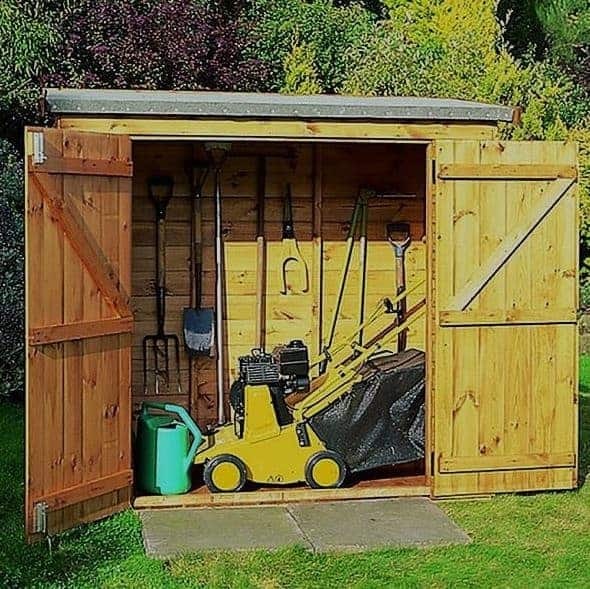 Whilst this is designed, as the name suggests, primarily as a lawn mower store it has more than enough space inside to be utilised as a very effective compact garden shed, and that’s why it earns its place within the WhatShed guide to the UK’s best 4′ X 3′ sheds. 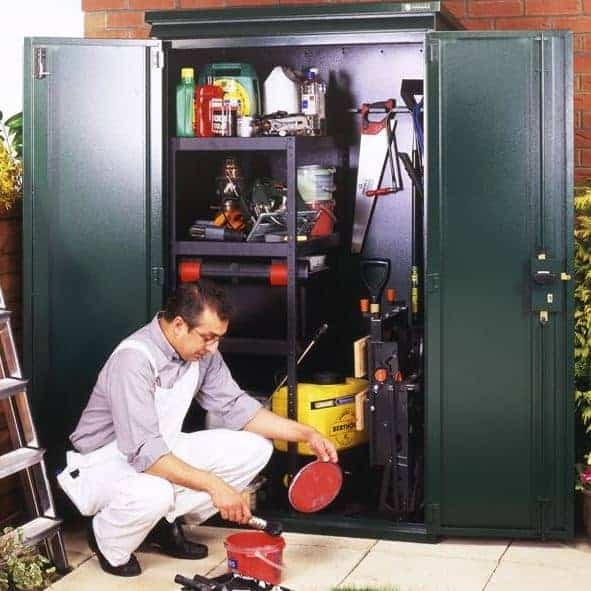 The wide opening double doors at the front make it very easy to move a lawn mower inside, but it also means that any large of bulky items can easily be stored, particularly with the aid of a wheelbarrow. The overlap cladding used on this store was, at 7mm thick, thinner than that on any of the other 4′ X 3′ sheds in our league table, and yet it still feels stable and reliable once assembly is complete. We liked the strong pad bolt that can be used to keep the double doors closed when not in use, and it was good to see that they had been holed and ready to accept a padlock even though that will need to be purchased separately. The base width of 1.43m is the widest of any shed here, so at an affordable price and with a 10 year warranty as standard it makes a good choice for anyone who wants a small shed that can store a lot inside. 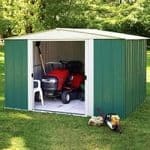 This is the only metal garden building to make our league table of the best 4′ X 3′ sheds. That’s primarily because metal is more often used as a substrate in larger buildings, so were pleased to see such a well constructed product available in a compact size that makes it ideal for the many people who are looking for a storage facility that can be used in a small area. This is a small shed that has a lot to recommend it, and we would certainly have placed it much further up the list if it wasn’t for a price tag that’s substantially higher than most of its competitors. The first thing that caught our eye when reviewing this shed was the dark green colour scheme which goes well with a garden background, and so will be suitable for those who don’t like sheds that look too metallic. Made of hot dipped galvanised steel it’s very strong, and of course it won’t rot, rust or crack. It’s also fire resistant, so can even be used as a low cost storage solution for a caravan park. Don’t be fooled by its size however, this is far tougher than most 4′ X 3′ sheds and weighs in at around 17 and a half stone. We particularly liked the inclusion of a secure locking system, a unique and very welcome feature for such a compact metal shed. 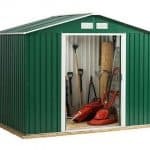 One of the great advantages of 4′ X 3′ sheds is that they are the perfect size to hold enough tools and equipment that a small to medium sized garden needs, and yet they won’t take up too much of the lawn or the patio that could be put to a better use. This is a perfect example of that, in that it’s a very practical garden building rather than one that’s been designed to be an attractive garden feature or a place for the owner to spend time in. Nevertheless it is very well constructed, even if it comes with a relatively high price tag as well. What we liked most about this pent roofed windowless shed is that it can easily be customised by the customer, thus giving them a garden building that perfectly meets their requirements. For example the standard cladding used is 12mm thick tongue and groove deal, which we found impressive in its own right, but for an extra forty pounds this can also be pressure treated to give it long lasting protection against rot and woodworm. Floor bearers can also be added, and there’s even a professional installation service available, even though at this size it can be self assembled quickly with a friend’s help. Overall then, this is ideal for people who don’t mind paying a little extra for 4′ X 3′ sheds to get them just the way they want them.